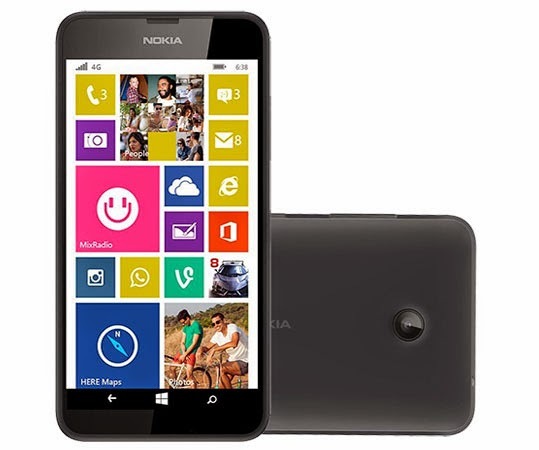 This is entry level budget Smartphone from Microsoft with 5 MP primary camera, IPS LCD screen resolution of 854 x 480 pixels in 4.5 inches screen, phone is powered with Snapdragon 400 processor with 1 GB of RAM, the phone runs smoothly without any heating and lagging issue but the customers are disappointed with its shortage in features such no front camera and flashlight. The outlook of phone is made up of plastic with good finishing; phone doesn’t look cheap from any angle. The battery is average with capacity of 1830 mAh. Phone’s Available Colour- Black and White. Corners of the Phone are the thin edges make the screen wider. Applications are movable in External SD Card. Microsoft planning Nokia Lumia 638 upgraded to Windows 10 in the future. No corning gorilla glass for the screen protection. Only single SIM card Slot. Battery backup is not so Good- Methods of Increasing Battery Backup. The phone has tightly packed with good build quality; 5 MP camera takes fine quality photography.Recommended for the users want to own a decent Windows Smartphone under 7000 rupees, 4.5 inches phone with Nokia branding and smooth configuration.